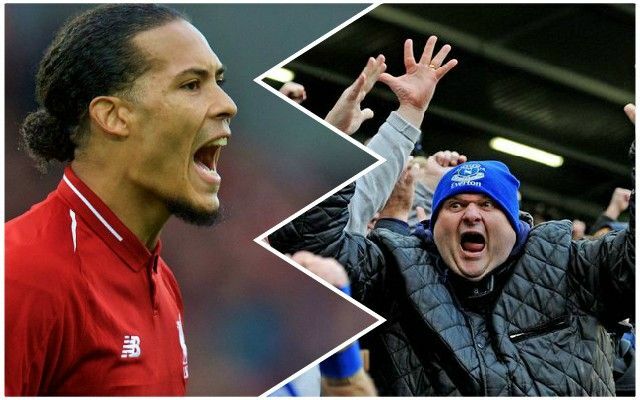 Virgil van Dijk says Liverpool are massively disappointed to have only drawn with Everton, saying he believes the Reds would have made worthy winners on the day. At the final whistle, Goodison Park erupted with joy at the fact Liverpool are slightly less likely to win the Premier League – although there is only a point in it with nine games to go. Van Dijk was quick to point out what that shows about the gap between the two sides in his interviews after the match. He said, via the Daily Mirror: “Yes, of course [we are disappointed]. We deserved the three points and it says a lot that they are celebrating [a 0-0 draw]. Everton were linked with him when the Reds signed him from Southampton – it’s safe to say he was never going there. While Everton did take the title race out of the Reds’ hands, Manchester City are likely to drop points at some point in the run-in. If they don’t, then they will deserve to win it. Otherwise, the Reds need to be in a position to capitalise.